As the Holidays are rapidly approaching, are you ready to melt away that pesky fat? 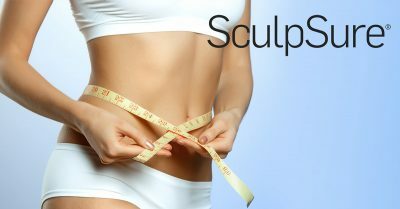 Azeal Dermatology is the first office in the state of Colorado to offer the ground-breaking technology of SculpSure. SculpSure is a proprietary light-based device for the reduction of stubborn fat in problem areas such as the abdomen, love handles, thighs, etc. SculpSure’s breakthrough body contouring technology is designed to permanently destroy up to 24% of treated fat in a 25 minute procedure. There is no downtime with SculpSure, so you can return to normal activities immediately. Multiple areas can be treated at one time and the treatment can be tailored to each individual. Results are seen in 6-12 weeks after treatment. This permanent fat reduction can be achieved in a relaxing environment, without the undesirable side effects of longstanding numbness, swelling and painful massage. Even with diet and exercise, most people have areas of stubborn fat that seem impossible to get rid of. SculpSure can help you achieve the results you are looking for with a non-invasive treatment that fits into your busy lifestyles. Get a jump start on your New Year’s resolution and start losing inches before the New Year arrives! Get your treatment today and see results in time for the Holidays! We are very honored to be the first office in Colorado and a six state region to offer this incredible technology. Please call us at 303-530-9325 if you are interested in learning more about this technology.